The Florida Association of Police Explorers (F.A.P.E.) was organized in 1971 to bring together Law Enforcement Explorers from around the State of Florida. Our organization serves as a conduit to unite Explorers and allow them to learn about law enforcement as a career. F.A.P.E. is a youth run program, which reaches out to young males and females between the ages of 14-21, and allows them the opportunity to become leaders within the organization. We believe as an organization that the youth who are influenced today will become the law enforcement officers of tomorrow. 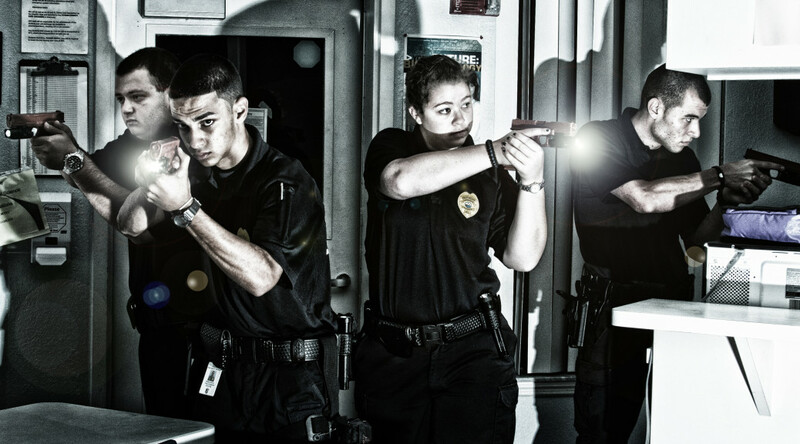 Each year the Florida Association of Police Explorers hosts an annual state competition. The competition allows Explorers from the State of Florida to compete in thirteen (13) law enforcement scenario based events. In addition to the competition scenarios, Explorers who have qualified may compete in our 9mm pistol competition. Law Enforcement Explorer programs are chartered by the Boy Scouts of America as Learning for Life program and sponsored by local law enforcement entities. The membership in FAPE currently consists of Police Departments, Sheriff Offices , and Federal Law Enforcement Agencies within the State of Florida. Many of our Explorers have become law enforcement officers and they credit their knowledge to the many years of training our program has offered them. The goal of our organization is to prepare interested Explorers in the opportunities available in law enforcement. We believe our program is a valuable asset to law enforcement agencies and you look for new Explorer programs to join our association. Please drop us an e-mail if you are interested in joining our association.